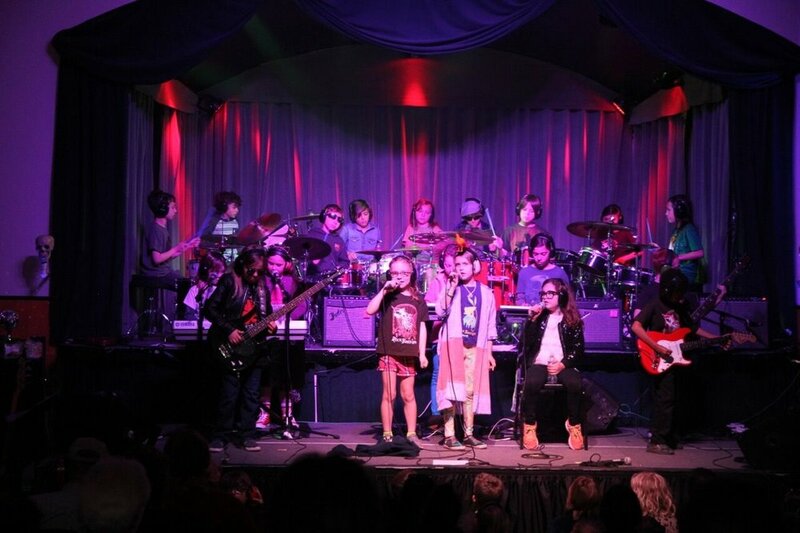 CROW is a wild bunch of maniacal human animals who have been friends and playing music together for years at Rock Band Land, San Francisco's premiere music and storytelling expressive arts program for kids. Featuring five percussionists, one bass player, two electric guitarists, three singers, two keyboardists, and their secret weapon - a ukulele player - CROW has developed a unique sound that they can truly call their own. They draw inspiration for their individual playing styles from their own personal tastes in music, which gives their cohesive sound a delicious variety of flavors - including alternative rock, indie pop, and metal. Driven by bass and drums, intensified by guitars and ukulele, coalesced by keyboards, and graced by soaring vocal lines, CROW is already a force to be reckoned with in the SF music scene.